The most important story of all is the one we tell ourselves and allow ourselves to live into. This is something that has been said before, but is entirely worth repeating, and repeating, and repeating. It’s so easy to fall into the trap of accidentally limiting our thinking, ourselves, and the success of our business. Melanie Benson has dedicated her life to helping entrepreneurs avoid such a tragic fate. She strives to inspire individuals to expand and shift their thinking to create a more resourceful, confident, and successful business person. The story we create for ourselves directly affects the story we can create for our brand. 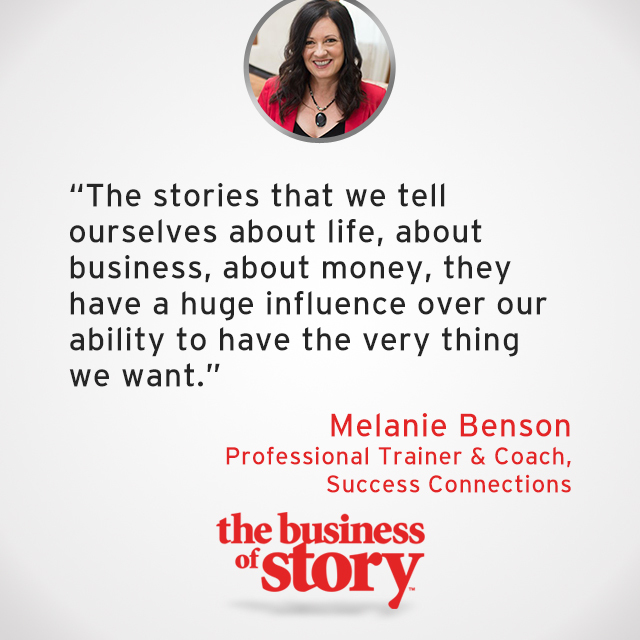 Melanie talks about how to change your thought patterns to create more positive habits, the powerful tools of delegation and team building, three common success barriers to avoid, and the real impact of your thinking on yourself and your business.